Practice rhythm patterns with this fun Koosh ball game! 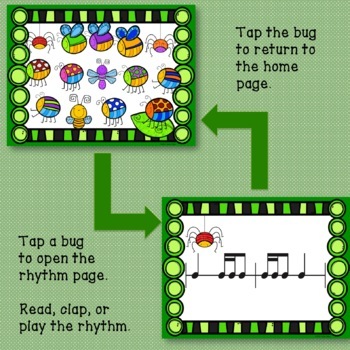 Tap the bugs, or gently throw a koosh ball at the interactive whiteboard to reveal a duple meter rhythm pattern. You might even try tapping the board with a fly swatter! 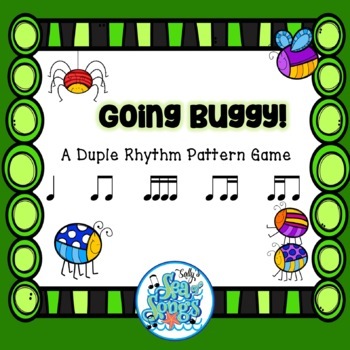 Work in teams for a fun rhythm game, or as an individual assessment. 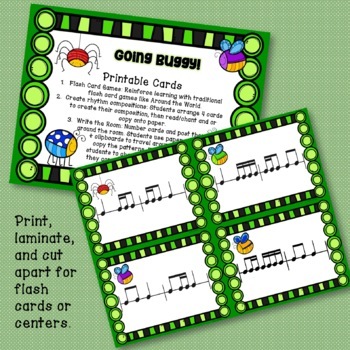 Printable cards suitable for centers are also included! 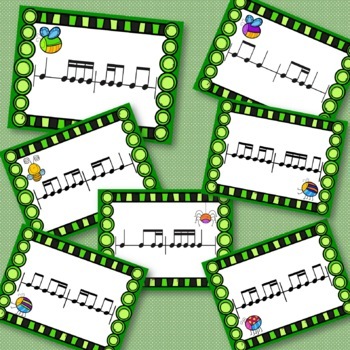 Rhythms include quarter notes, barred eighth notes, 4 barred sixteenth notes, and 1 eighth-2 sixteenth notes. This file will work with any counting system.